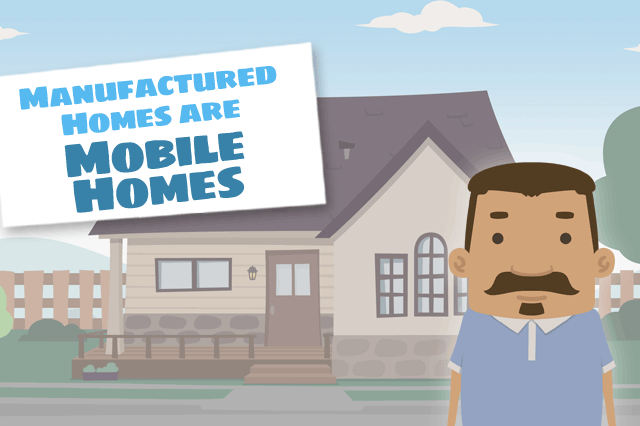 Is an FHA Manufactured Home Loan Right for You? Is an FHA manufactured home loan right for you? That is a question well worth asking, especially for those concerned that such loans may not be available in certain housing markets. Supply and demand plays an important role in how some lenders approach certain types of FHA loan transactions. June 8, 2018 - Is an FHA manufactured home loan right for you? That is a question well worth asking, especially for those concerned that such loans may not be available in certain housing markets. It’s true that some markets are better suited for FHA manufactured housing loans or mobile home loans than others; supply and demand plays an important role in how some lenders approach certain types of FHA loan transactions. For example, some markets experience a construction boom ahead of others, while some areas are more of a seller’s market for existing construction homes. If you live in an area where FHA One-Time Close construction loans are popular, you may find that some lenders might be willing to issue a construction loan for certain types of manufactured housing that meet FHA loan standards and lender requirements. But in other areas, a lack of manufactured housing buyers could have lenders turning away from offering such loans in favor of the ones that are more popular. But this isn’t the only factor. Some areas are simply not suited for FHA manufactured housing loans; certain known natural disaster areas, land near oil wells or high pressure gas pipelines may never qualify for an FHA mortgage. Other areas may have natural disaster issues that simply require the appropriate insurance to protect the borrower and the lender; in such cases your lender will discuss how to proceed and what the expenses might look like when added to your mortgage budget. Some borrowers look to mobile home loans or manufactured home loans because they feel these products may cost them less in the long run than a One-Time Close construction loan or the purchase of an existing construction property. In other cases, size may be an issue-a smaller manufactured home may appeal more than a larger-than-needed property. Whatever you decide, the first step is to get in touch with a participating lender who can discuss your needs and whether an FHA loan is available in that housing market for the type of property you want. Remember, no two housing markets are exactly alike; you may find some unique options in some areas that aren’t available in others. Borrower should always remember that FHA loan requirements and lender standards aren’t necessarily identical-just because an FHA mortgage loan option is technically available does not mean that the lender will agree to offer it or that it is available from all financial institutions.